Firefox 12 with the fix is available already! Firefox 12 doesn't longer have this issue and it has been released already. To solve this issue, simply update your Firefox! If you cannot update Firefox for some reason, you can still use the workaround described below. There was an issue introduced in Firefox v10. When you're using Firefox v10 or higher in the admin area of KMP, it crashes on Articles & Categories page (and sometimes on some other pages). 1. Type "about:config" in Firefox address bar and press Enter. 2. It will show a confirmation. Don't worry, click "I'll be careful...". We know what we're doing. 5. Now close all Firefox windows and start Firefox again. It should not crash when you work with KMP now. Later, when the fix will be included to a Firefox release, you should switch this option back to "true". You will gain about 5-10% performance improvement. There are other workarounds that are not so good. You can try them if for some reason the workaround mentioned above doesn't work for you. Roll-back to an older stable version of Firefox. Firefox 9.0.1 works like a charm. Download Firefox 9.0.1 US for Windows. Other languages and platforms. 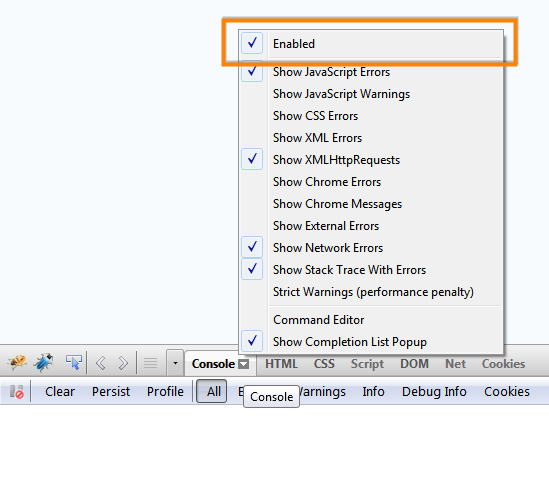 How to install Firebug plugin? Firebug addon magically helps Firefox to avoid this issue. Install Firebug from its page on the Mozilla website. Restart Firefox. 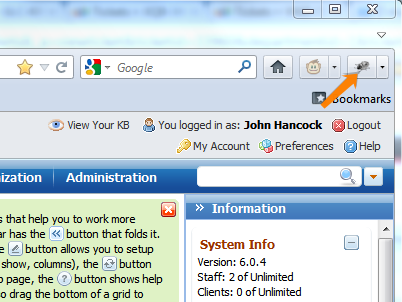 When it is installed and Firefox is restarted, open the KMP admin area page. Then click the Firebug button in the right top corner. Click the arrow next to the Console button at the bottom and make sure that the checkbox is selected next to "Enabled" option. Press F5 and it should now working properly.